The first book published in the Philippines was Doctrina Cristiana. The Father of Tagalog Poetry is Francisco Baltazar. Lola Basyang is the pen name of Severino Reyes. The Father of Pampango Literature who wrote "There is no God" is Juan Crisostomo Soto. The oldest existing newspaper in the Philippines since the 1900 is Manila Bulletin. The Father of Modern Tagalog Poetry is Alejandro Abadilla. 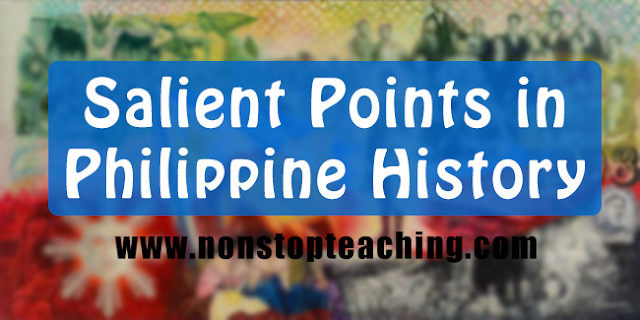 The work of Bonifacio which tells the history of the Philippines Ang Dapat Mabatid ng mga Tagalog. This is known as Andres Bonifacio's Ten Commandments of the Katipunan - The Decalogue. Rizal's model for Pilosopong Tasyo was Paciano Rizal. Taga-ilog is Juan Luna's Pen name.